The good things that I have planned for you are too many to count. and your thoughts which are toward us. They can’t be declared back to you. The goodness of God has no end. It goes on forever and ever. Many times throughout the Bible, the phrase... The Lord is good and His mercy endures forever is declared. The strategy of the enemy is for us to question the goodness of God. His plan started in the Garden of Eden with Adam and Eve and it continues today. If he can get us to question God's goodness, then he can get us to not trust our Heavenly Father. 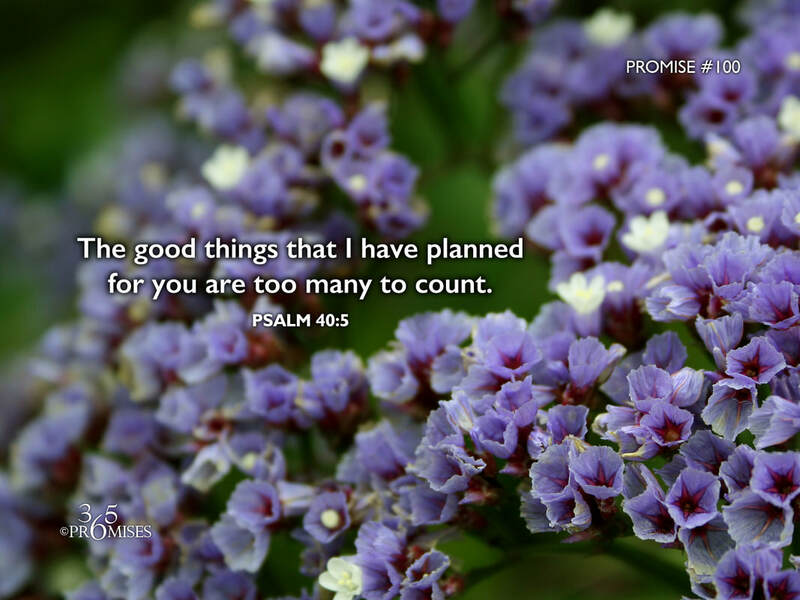 David had it right when he declared that the good things that God has planned for us are too many to count. The truth is that God is for us... not against us. He loves us with all His heart and He only wants the absolute best for our lives.